I’ve been away from the blog for a while, but not off the road. 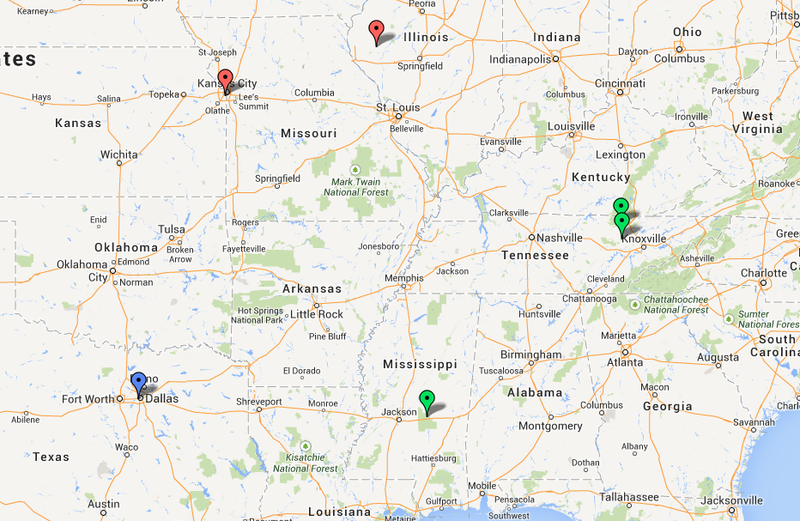 Our schedule has been a bit nuts lately, hitting lots of locations. It is not going to slow down either so I’ll share a bit with you and hopefully update the calendar this week. We are in the Dallas/Fort Worth area this week with stops all over the place. Next week is a bit slower for work with just two stops around Kansas City but we have decided to make it a bit tighter by adding a visit to my hometown over Easter weekend. This entry was posted in Coming this Week and tagged Coming this week, Dallas TX, Kansas City, life on the road, travel, Travel Life. Bookmark the permalink.